Catholic Education is concerned with the growth and formation not only of the human person, but also of the Christian person. In its secular as well as sacred dimensions it must deliberately seek to make Christ the foundation of the whole process and show the relationship of all creation to Him. The Staff of Our Lady of Lourdes Primary School are committed to these ideals and shall make every endeavour to witness them. 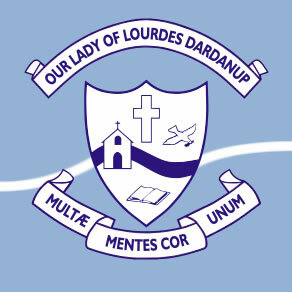 Children of Our Lady of Lourdes Primary School will be encouraged to develop knowledge, skills, values and attitudes required by children to grow to their full potential as adults. Your child’s health and safety is of utmost importance to us. At Our Lady of Lourdes School we have several students who have allergies to foods, which with exposure could place their lives at risk. Early Childhood Education at Our Lady of Lourdes Dardanup strives to promote the development and education of the whole child. This is underpinned by our beliefs in developmental learning, inclusivity and the Catholic Ethos. 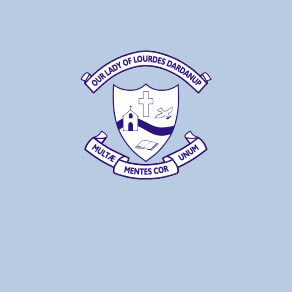 Our Lady of Lourdes School has a responsibility to provide an educational environment that promotes the dignity and respect of the person and, therefore, aims to encourage the development of positive relationships between students to reduce all forms of bullying, harassment, aggression and violence. The policies and practicesthat Our Lady of Lourdes School employs should enhance the dignity of the human person and reflect the Principles of Pastoral Care as espoused in the Pastoral Care Framework (2007). BULLYING is defined as any consistent and conscious behaviour by a person which hurts, injures, embarrasses, upsets or frightens another person to the point where it is difficult for them to deal with the situation them-selves. In partnership with the family and wider community, we aim to assist children to develop self discipline and accept responsibility for their own behaviour. Whilst we aim to create a positive environment which will limit discipline problems, we have to have a system for dealing with and resolving conflicts when they arise. The Catholic Education Commission of Western Australia (CECWA), Dispute and Complaint Resolution Policy was implemented in 2002 and provides a process that must be followed by all Catholic schools when addressing issues of dispute or complaint. The Catholic school is a reflection of the Church’s commitment to the dignity of the individual (Mandate para 6). It is important for schools to demonstrate this commitment in the manner in which they protect information that they hold about their school community. The Catholic school requires information about students and their families in order to provide for the education of these students. All primary children are expected to wear the correct uniform.